Yong Moo Do is a new martial art developed by Yongin University. It is a combination of many martial arts including Tae Kwon Do, Ju Do, Kum Do, Hap Ki Do, and Ssireum Korean Wrestling. Combining these martial arts together into one creates a good, practical self-defense class and also gives the individual knowledge into other arts, allowing him or her to partake in other classes with ease. Yong Moo Do is offered to everyone over 8 years old. Yongin University was founded in 1953. 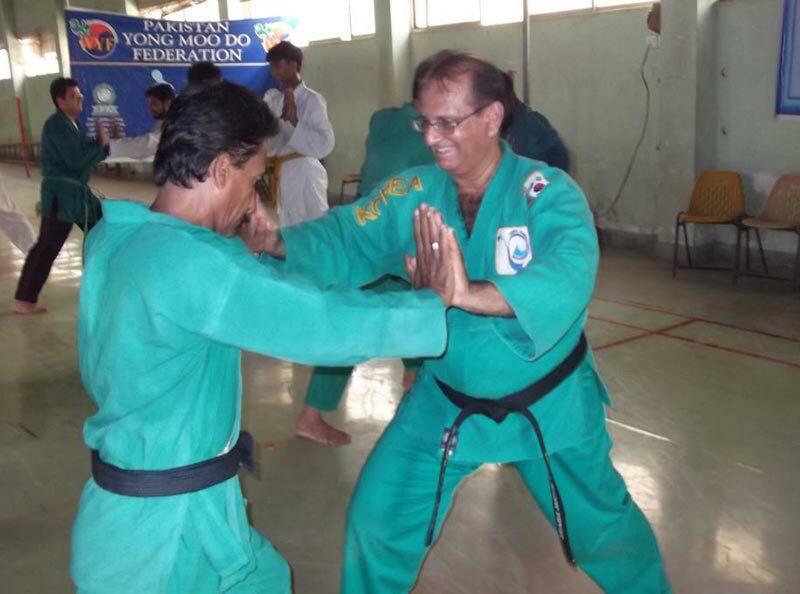 Their first martial arts offering was Judo, followed by Taekwondo, KumDo, Hapkido, Ssirum, boxing, wrestling and the art of self-defense and arrest. This is where Yong Mu Do was developed. Yong Moo Do is a practical and self-defensive Martial Arts training system in combination of several Korean martial arts & related techniques. This resulted from the efforts to actively provide Yongin University's ideas of education and martial arts to people around the world, and to create a top notch martial art of their own. Yong Moo Do is an attempt to embody reconciliation and harmony, which are the national spirits and the principle of Yongin University through martial arts and physical education. It is a Korean martial arts system which unifies existing Korean martial arts, like Judo, Taekwondo, Kum Do, Hapkido, and Ssireum with the art of self-defense. Yong Moo Do is scientifically synthesized with the quality of ancient martial arts, ideological and philosophic backgrounds of Korean Culture and well organized theories of modern sports. 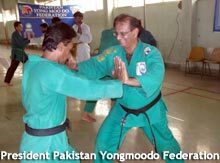 Yong Moo Do consists of basic techniques originated from traditional martial arts or combative sports. It also involves instinctive movements of humans, considering it's athletic and defensive use. As far as the arts of Yong Moo Do are concerned, defensive techniques take priority over offensive ones. Offensive techniques stem from traditional techniques of the established Martial Arts, like Ju do, Korean wrestling, Tae kwon do, Kum Do, and Hap ki do. This comprehensive coverage of offensive techniques is unique to Yong Moo Do, since other martial arts cover only their own areas.